Do you know that when buying online you can get some money back from buying? There are many sites on the market also called cashback portals. In our article, we will present 3 in our opinion best cashback portals, thanks to which you can save a lot of money. We will also explain how cashback portals work and how to proceed with their selection. How Do Cashback Portals Work? Registration – First you need to register for a specific cashback portal (see tips below). Registration is generally free of charge. Cashback portals, on the other hand, often attract customers for entry bonuses. Online store selection – Most cashback portals offer you a refund of some of the money you buy from the most popular deals. Just choose yours, click through it from the site of a specific cashback portal and start shopping. This step is very important because there is transmitted information that you buy from a specific cashback portal. Thanks to that you will get a provision. Purchase payment – once you pay for the purchase, you will generally be credited with the percentage of your purchase at the cashback portal. Percentage commissions vary based on the store, product type, and the cashback portal. How To Choose A Cashback Portal? Experience of other users with the portal – User reviews often tell you whether it's good to join the program or not. But remember, if something sounds too good to be true, it probably isn't. It can happen that the portal will have a well-designed homepage, but it will be a scam. So think critically. Commissions – is one of the major factors to consider. Not always higher commissions on purchases are better choices. What is written does not necessarily have to be given. So, check out in advance whether the cashback portal really pays the reward it promises. The minimum amount paid, time and method of payment – Some cashback portals have a minimum amount that you have to have on your account to get withdrawal. For some portals, there is no minimum. Someone may take more time and money can be paid via PayPal or online only. Shop Deals – do you shop at different stores or do you have one favorite? The range of deals can also play an important role for some customers. 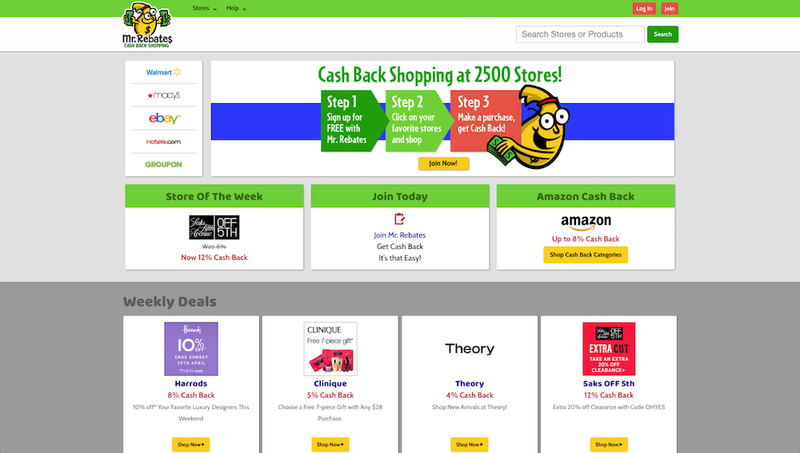 The largest cashback portals offer a choice of several thousand stores. Tip: Do you and your friends shop online often? Take advantage of the affiliate program of one of the cashback portals and get the most out of shopping! Which Cashback Portals Do We Recommend? We and many of our customers use one of the following 3 cashback portals. These are verified and reliable portals that have been on the market for many years. This cashback portal is one of the largest in the market. You can choose from more than two thousand stores (eBay, Macy's, Walmart, Amazon, and others ). Mr. Rebates also attracts for a $ 7.5 bonus and a decent commission. Every week, commissions are increased for specific stores, as well as a daily offers where commissions are raised for one selected store. Ebates, especially because of his name, is often confused with Mr. Rebates. However, this is a completely different cashback portal. It offers $ 10 sign up bonus. 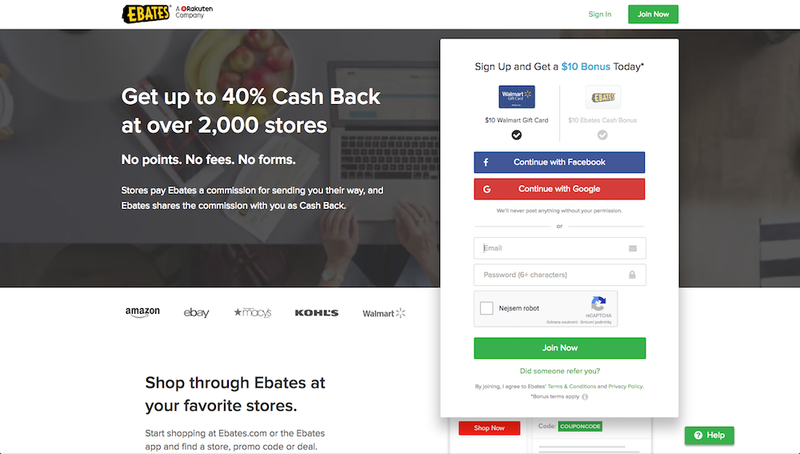 The advantage of Ebates is that you can also use discount coupons along with a cashback. You will also find daily offers – the payback provision is doubled in the selected store. 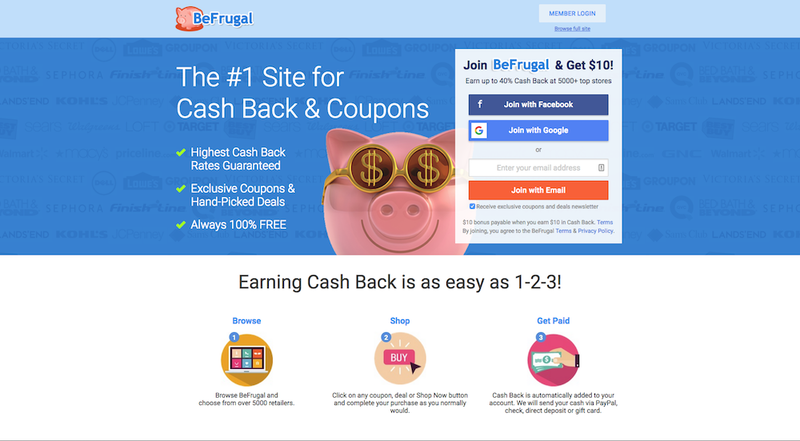 Also, BeFrugal offers a $ 10 entry bonus and a selection of several thousand of deals. You can combine both a coupon and a cashback. At BeFrugal you will also find some of the highest commissions at all.